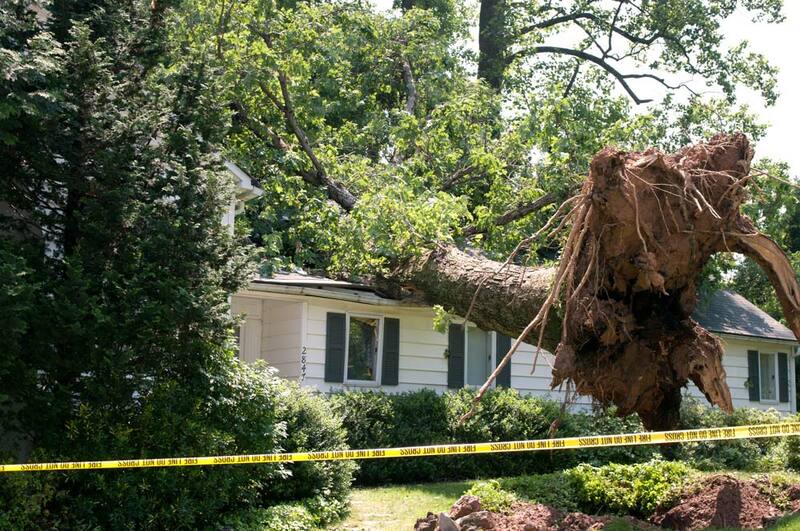 The trick to reducing storm damage to your trees is good tree health. If your tree is strong and healthy, the chances of it being damaged in a storm are greatly reduced. In Auckland, storms coming in from the South West are common. Over time our trees get used to being blown at this angle, but when a storm hits with gusting winds from the East, we are more likely to see trees damaged as they are not used to being hit with force from this angle and they snap. It is less common to see a whole tree uprooted during your average storm, and it often takes winds of over 120km/h to cause serious tree problems. The exception to this is if there has been heavy rainfall and the tree is rooted in very loose saturated soil, then your tree is at risk of uprooting, especially if it’s situated on a bank. So, what can you do to reduce the risks of storm damage? We believe the key is being well prepared. Making sure your trees are healthy and not too side heavy in the canopy or branches will significantly reduce the chance of damage. Getting the weight out of the crowns and branches before the wind and rain comes is the way to go. All tress will have their own unique level of durability, their lifespan will vary as will the strength of their wood. Planting trees for the appropriate climate can also ensure they thrive. If you do experience a branch being severed or dangling off in a storm, it is important to have it removed correctly. A broken branch can cause the tree to have a wound and can put it in a state of stress, opening it up to risk of disease. Even if the branch has been fully severed it is important to trim the break properly to ensure the tree heals quickly. Regular tree maintenance will ensure your trees are in the best possible condition and having us visit you regularly means we can point out any areas of concern and help reduce the risk of failure should a storm hit.